Χάρη στην ποιοτική διαμονή και την άριστη εξυπηρέτηση του Ora Hotel, στην επίσκεψή σας σε Incheon θα νιώσετε σαν στο σπίτι σας. Το κέντρο της πόλης είναι μόνο μακριά και μπορείτε να φτάσετε στο αεροδρόμιο μέσα σε λεπτά. Από τη βολική της τοποθεσία, η ιδιοκτησία προσφέρει εύκολη πρόσβαση σε κορυφαίους προορισμούς της πόλης. Όλα γίνονται με γνώμονα την άνεση των επισκεπτών. Για τον σκοπό αυτό, η ιδιοκτησία προσφέρει ό,τι καλύτερο όσον αφορά τις υπηρεσίες και τις παροχές της. Κορυφαία χαρακτηριστικά του ξενοδοχείου συμπεριλαμβάνουν τα δωρεάν WiFi σε όλα τα δωμάτια, 24ωρη ρεσεψιόν, γρήγορο check-in/check-out, ασύρματη σύνδεση Wi-Fi σε δημόσιους χώρους, χώρος στάθμευσης οχημάτων. Απολαύστε ανέσεις υψηλών προδιαγραφών κατά τη διαμονή σας. Ορισμένα δωμάτια περιλαμβάνουν δωρεάν καφές φίλτρου, δωρεάν τσάι, καθρέφτης, πετσέτες, σύνδεση internet (ασύρματη) - ό,τι πρέπει για να αναζωογονηθείτε μετά από μια γεμάτη μέρα. Εξάλλου, το ξενοδοχείο διοργανώνει πολλά ψυχαγωγικά δρώμενα έτσι ώστε να έχετε πολλά πράγματα να κάνετε κατά τη διαμονή σας. Με την ιδανική του τοποθεσία και τις καταπληκτικές του υπηρεσίες, το Ora Hotel θα σας ευχαριστήσει σε πολλά πράγματα. The property provides airport pick-up services from 03:00 PM to 09:00 PM. The property provides airport drop-off services from 06:30 AM to 10:30 AM. The pick-up is on the 3rd floor, exit number 2 at Incheon airport. In order to reserve the transfer, please inform the property of your arrival details at least 1 days prior to arrival. Deluxe Twin - Room Only and Family (1 Double Bed + 1 Single Bed) room types are with airport view. Close to the airport. A taxi cab was like 9500won. They have a free shuttle but until 9pm so I had to take a cab. It is in the middle of nowhere so if you want to buy or eat something you are out of luck. They do have a restaurant but I did not tried it. 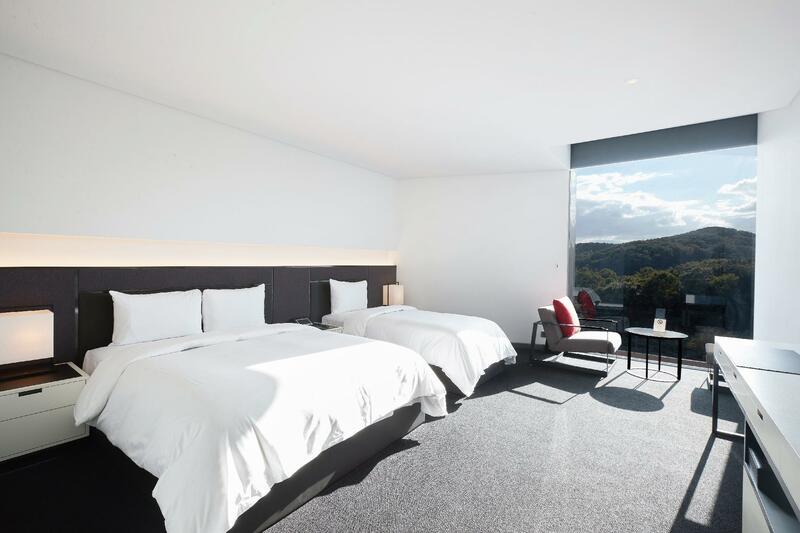 The rooms are great. The bed and pillows are soft. The architecture is awesome. But they do need to give it a little more maintenance to keep it nice because i could already see the rust on some parts of the bathroom. But overall a great hotel. I really recommend it. My favourite part of the hotel may be the bathroom. It feels so clean and spacious. Room is comfortable and nice space. There is nothing around the hotel. So be prepared if you are arriving late at night with empty stomach. It is a grand new hotel and very spacious with bath tub and very comfortable bed. The location is very close to the airport and they offer free shuttle to the airport but nothing around the area. So this is good for layover or transit hotel. 저희 호텔을 이용해 주셔서 감사합니다. 고객님 의견에 감사드립니다. Is a very nice hotel for transit..
You won't be able to travel by public transport and the hotel transfer is at fixed hours during arrival and departure. You can call a cab at the front desk instead. Very poor service: 1) I reserved the shuttle bus at 9pm at the airport, but no one showed up until I called the front desk at 9:15pm. The driver arrived at 9:30pm and we reached the hotel after 9:40pm; 2) unfortunately their restaurant and room service closed at 9:40pm —— ridiculously early; no convenient store nearby and we eventually had nothing to eat, but a small can of beer only, costing us 8000won!!! If you plan to stay and arrive late, make sure you call the front desk in advanced to ensure the driver will come, and buy something at the airport first. 안녕하세요. 호텔 ORA 입니다. 고객님께 불편을 드린점 진심으로 사과 드립니다. 추후에는 이러한 일이 발생하지 않도록 최선을 다하겠습니다. 다시한번 죄송하다라는 말씀 전해 올리며 오늘 하루도 좋은 하루 되시길 바랍니다. 감사합니다. I check in late night (at1am) air con is turn off every 10minute . And shut down since3am till morning. I check out at 9am. I called front desk 4times and she came up just one time with no explanation. I text to the hotel but still no answer and explanation. I didn’t sleep all night. Bad experience here, no recommended. 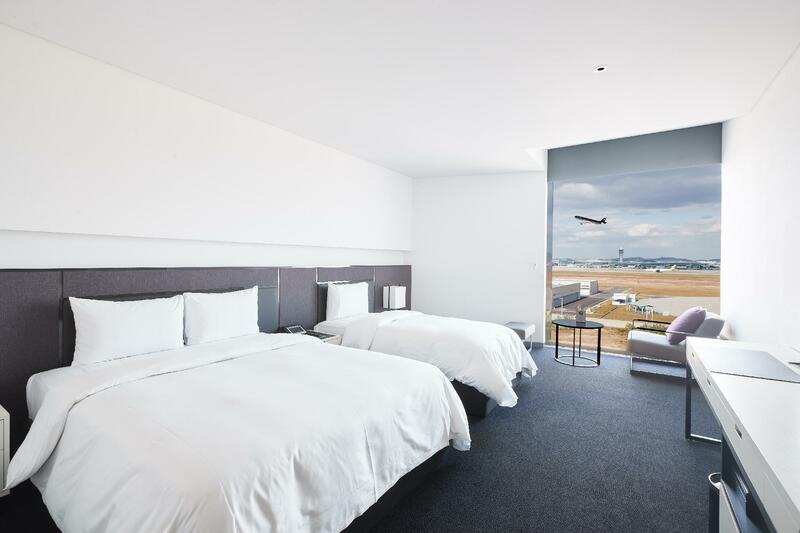 A very comfortable and modern hotel close to Incheon airport. The airport shuttle was very helpful, but it would be useful to include information about where to pick it up on your confirmation or website (as many travellers don't have a local phone). The one down side was the lack of any facilities close to the hotel (i.e. no convenience stores). If you need anything then pick it up at the airport before you take the shuttle! 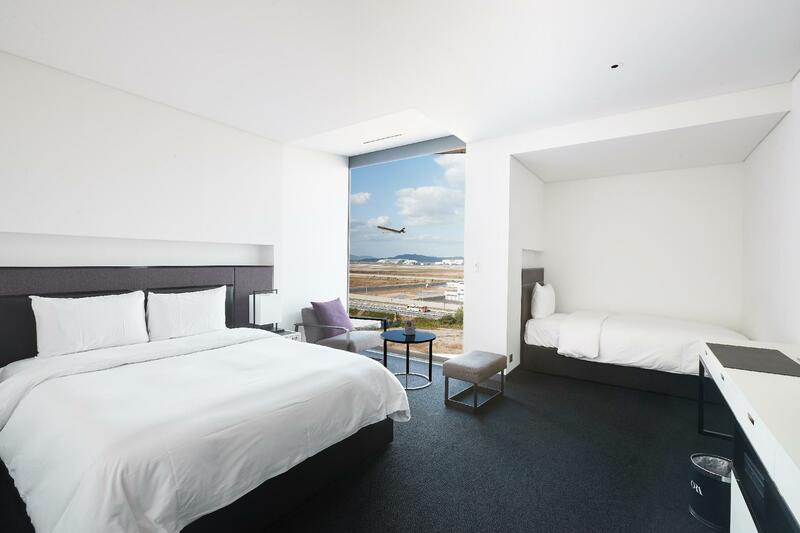 Hotel is situated near Incheon Airport (approx 10 minutes away). Rooms are beautiful, clean and spacious! Perfect hotel if you need a place to stay within the airport area. Great hotel for overnight stay near airport. Need a taxi to get to hotel. 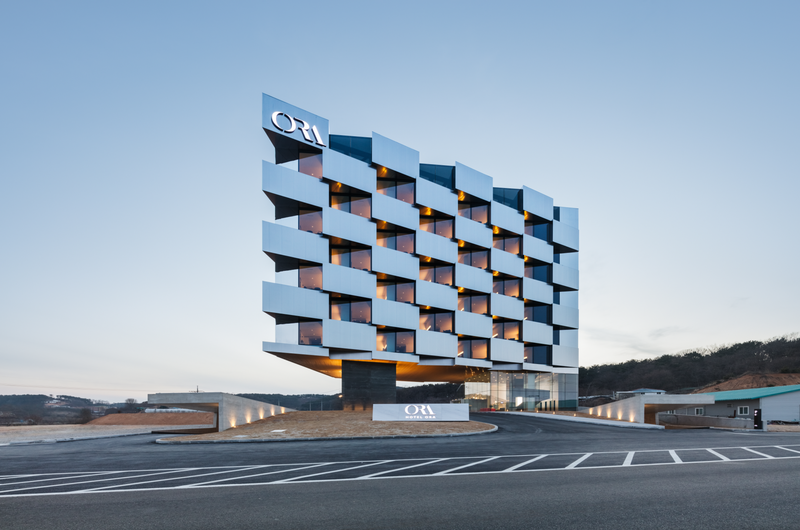 Great hotel close to Incheon airport. Reasonably priced, clean, quiet rooms. There is nothing around the hotel currently, but the area seems to be developing. 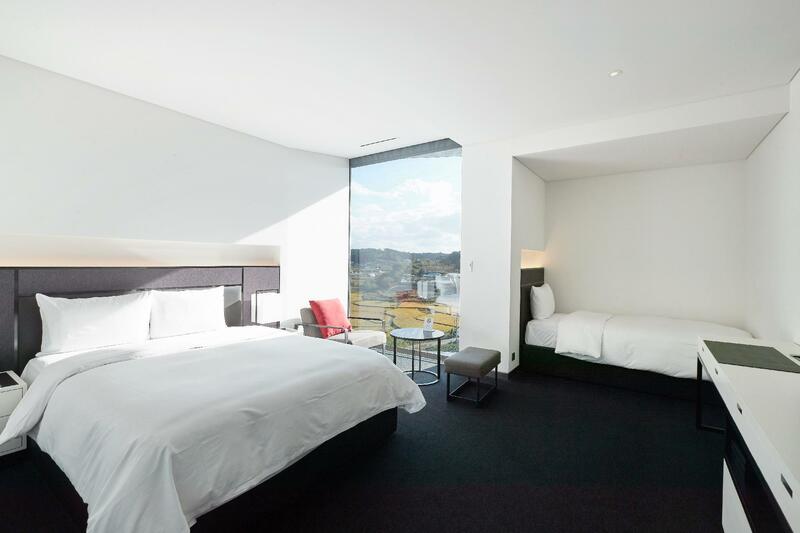 Great looking hotel, clean and quiet. The restaurant food was surprising amazing but a bit pricey. The staff also struggled a bit with English. The Agoda ad said this hotel was 2.2Km from the airport; however, it is 12Km from the airport. There is no where near to eat (the hotel Kitchen is not open a large portion of the time), or even a shop nearby to buy water. We had to go back to the airport to eat. We arrived at 3:00pm and had plans to be in Seoul at 7:30pm. With the hassle and terrible location we had to cancel our plans. It took us just as long to get to ORA as it would have taken us to get to the center of Seoul on a Limo bus. I have lived and worked in Korea for more than 5 years so I am quite aware of standard travel times. When we got to the hotel we inquired about a shuttle to the nearest subway station because we wanted to go into Seoul and the receptionists response was, "No." And she just kept on with her work. The hotel made zero effort to help us. It would have been cheaper and easier to stay in Seoul. Facilities are good and clean. If you are going to the airport in the early morning, the location of this place will annoys you. The only way to get to the airport is using taxi. It was great to have a nice room in a fabulous price. But no-store status was a bit bummer.